Photograph: (left to right) Philip Hague, Craig Chitty and Brian Cotton from New Zealand Customs Service’s Integrated Targeting Operations Centre (ITOC) are joined by the WCO’s Cristian Moldovan and Robert White for the launch of the WCO CTS air cargo pilot. New Zealand Customs Service (NZCS) is assisting the WCO by conducting a pilot of the newly developed air cargo capability for the WCO Cargo Targeting System (WCO CTS). NZCS has extensive experience and expertise in cargo risk assessment and targeting and will be fully testing and evaluating the WCO CTS during a 3 month trial. The WCO travelled to New Zealand during week commencing 10 October 2016 to launch the pilot and conduct training with NZCS personnel who will be using the WCO CTS. The findings of the pilot will be incorporated into the system before existing WCO CTS deployments are upgraded and the new capability becomes available to all WCO Members. The WCO CTS is a cargo manifest risk assessment and targeting solution developed by the WCO for Customs administrations across the globe that require such capability. It allows those adopting the solution to implement international best practice cargo risk assessment including key pillars of the WCO’s SAFE Framework of Standards to Secure and Facilitate Global Trade. A new regulation adopted by the European Parliament and the Council will allow customs to access information to track the origins and routes of cargo containers arriving in the EU to support the fight against customs fraud both at EU and national level. 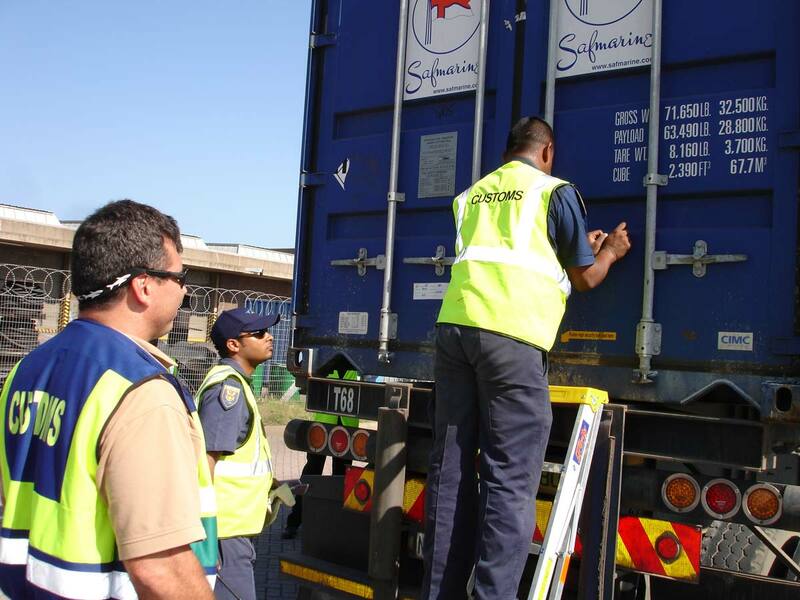 The Joint Research Centre (JRC) has been instrumental in the conception and adoption of this legislation as it provided the scientific evidence on the importance of analysing the electronic records on cargo container traffic. The EU customs authorities have been long aware that information on the logistics and actual routes of cargo containers arriving in Europe is valuable for the fight against customs fraud. However, they had very limited ways to obtain such information and no means to systematically analyse cargo container traffic both for fraud investigations as well as for risk analysis. On the other hand, the ocean carriers that transport the cargo containers, as well as their partners and clients, have easy on-line access to the so-called Container Status Messages (CSM): electronic records which describe the logistics and the routes followed by cargo containers. In collaboration with the European Anti-Fraud Office (OLAF), the JRC has worked extensively on how to exploit CSM data for customs anti-fraud purposes. The JRC proposed techniques, developed the necessary technology, and ran long-term experiments involving hundreds of EU customs officers to validate the usefulness of using CSM data. The results of this research led the Commission to bring forward a legislative proposal that would enable Member States and OLAF to systematically use CSM data for these anti-fraud purposes. It also served to convince Member States of the value of the proposed provisions. The financial gains from the avoidance of duties, taxes, rates and quantitative limits constitute an incentive to commit fraud and allow the capacity to properly investigate in cases, such as mis-declaration of the origin of imported goods. 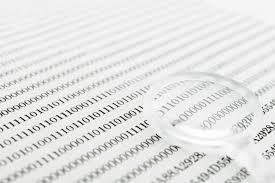 The information extracted from the CSM data can facilitate the investigation of some types of false origin-declarations. With the new legislation an importer will no longer be able to declare – without raising suspicions – country X as dispatch/origin of goods if these were transported in a cargo container that started in country Z (as indicated by the CSM data). The role of the private sector in the implementation of the World Trade Organization’s (WTO) Trade Facilitation Agreement (TFA) will be the focus of the 2015 edition of the Global Facilitation Partnership for Transportation and Trade (GFP) meeting. With the world’s customs administrations currently identifying their respective TFA implementation commitments and setting up National Trade Facilitation Committees, trade and logistics operators can learn how they can participate in such initiatives by attending these sessions. Organized by the International Trade Centre (ITC) in partnership with the United Nations Conference on Trade and Development, the United Nations Economic Commission for Europe and the World Bank, the event will bring together representatives of the private sector, WTO member states and international organizations to discuss how best support trade facilitation implementation. The GFP meeting will be held at Palais des Nations, Geneva, on 22 April, and will be divided into three thematic sessions. The first session, ‘Governments’ Priorities: Strategies for Fostering Private Sector Participation in the TFA Implementation Process’ will look at how governments are planning to implement the TFA. It will focus on how the private sector is consulted and how an effective participation of the private sector can be facilitated to implement the Agreement. The second session, ‘Priorities, Perspectives, and Expectations from the Private Sector on TFA Implementation’ will assess how the private sector – including large corporates and small and medium-sized enterprises – view TFA implementation. It will look at the potential benefits from a private-sector perspective, and how the sector can contribute to national and international initiatives to implement the agreement. The third session, ‘International Organizations’ Co-ordination and Partnership for Supporting TFA Implementation’, will provide an opportunity to share information and experiences on how the TFA can be implemented with public-private partnerships in mind, as how national trade facilitation committees can better support this process. ITC invites all interested stakeholders to join the GFP meeting at the Palais des Nations on 22 April from 9:00. Click here for link to online registration. To fix the Bureau of Customs, President Benigno S. Aquino III needed a numbers guy, someone who could make sense of the thousands of shipments and billions of pesos passing daily through the Philippines’ ports. He turned to John P. Sevilla. Three months after taking over as commissioner in December, Mr. Sevilla told The Wall Street Journal he had been “shocked” by the Bureau’s failure to analyze the rich data it received, information that held vital clues to its endemic corruption problems. He was also incredulous that Customs lacked a single reference source to help examiners make complex calculations about duties and fees incurred by traders. One is now being compiled, Mr. Sevilla said, “to make it easier for people to do their jobs…so that they have no excuse” for undercharging importers, a common practice rewarded with illegal payments. Customs is tasked with collecting revenue at the nation’s 17 major and 43 minor ports. But it has a history of missing targets: It pulled in 304.5 billion pesos ($6.8 billion) in 2013 — over a fifth of all government revenue, but still 35 billion shy of its goal. The under-invoicing of traded goods has cost the country $23 billion in lost tax revenue since 1990, according to a February report by Global Financial Integrity, a U.S. research firm. The Aquino administration’s keynote policy of improving governance thus made Customs a prime target for reform. A far-reaching overhaul was ordered last October, and Mr. Sevilla, a former finance undersecretary, was parachuted in soon after. Not everyone was convinced: In January, Senate Minority Leader Juan Ponce Enrile said Mr. Sevilla was “in the dark” about how turn Customs around. Undeterred, the studious-looking commissioner has spent the last three months poring over reams of customs data in which the dealings of smugglers and corrupt officials have long lain hidden. At the Port of Manila, one of three ports in the capital, importers and brokers crowded around glass service windows, an innovation from before Mr. Sevilla’s time designed to block access to officials and make them harder to bribe. Inside, on computers surrounded by mountains of paperwork in what remains a semi-automated operation, customs examiners placed their electronic signature on each shipment after calculating the requisite duties and fees. Likewise, the credible threat that your container might be physically inspected is the best deterrent against false import declaration, Mr. Sevilla argued. But with 18,000 containers piled up at Manila International Container Port alone, the challenge is to open the right ones. The Bureau has 3,600 staff, but aims to hire nearly 3,000 more, partly to increase the inspection rate. Around a fifth of shipments are flagged for further examination. Some of these are X-rayed and, if necessary, physically inspected. The Bureau also regularly auctions off seized items to further boost revenues. At one such auction in mid-February, buyers snapped up everything from a smuggled Harley Davidson to batches of animal feed. Other illegal shipments are sent straight back to their point of origin, such as the 50 containers of rotting garbage — declared as “recyclable plastic” -from Canada last month. 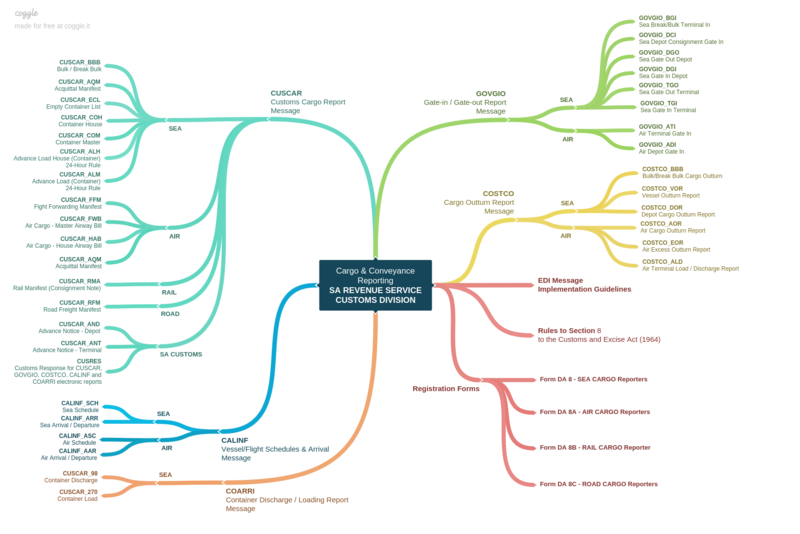 Information gathering by revenue authorities – What about the cost? The powers of the South African Revenue Service (SARS) to gather information were extended significantly in Chapters 4 and 5 of the Tax Administration Act, No 28 of 2011 (TAA) that took effect on 1 October 2012. Clearly information is central to the SARS business model: “By increasing and integrating data from multiple sources, SARS will increasingly be able to gain a complete economic understanding of the taxpayer and trader across all tax types and all areas of economic activity.” (SARS Strategic Plan 2013/14 – 2017/18, at p25) Information-gathering under the applicable TAA provisions is a costly exercise for SARS, taxpayers (both corporate and individuals) as well as for advisers. The cost-aspect is usually not addressed in legislation empowering information-gathering by revenue authorities. Despite this there is a strong need for ‘cost-consciousness’ relating to information requests – simply because of the compliance cost impact. The SARS Strategic Plan specifically states, in order to achieve the objectives of the National Development Plan, SARS will promote effective government by “Reducing the cost of compliance and the cost of doing business in South Africa” (at p13). Hence, one of SARS’s future initiatives would be to “Continue to implement the principles of a cooperative compliance approach to reduce compliance costs…” (at p34). SARS also acknowledges under “Small business and Cost of Compliance” that the “relatively high cost of compliance” might be a reason for non-compliance by small business (see at p43). So how does a revenue authority inculcate a culture of “cost-consciousness” when it comes to information-requests by its officials? The Australian Tax Office (ATO) has gone down this road in its Access and Information Gathering Manual: Said Manual explains the law relating to the ATO’s statutory information-gathering powers and indicates how ATO officials should exercise such powers. [The Manual is available on the ATO website]. For what purpose and under which law do you require information? The access provisions can only be used for the purposes of the Act. You must be clear on your reasons for seeking particular documents. You should be able to show a clear connection between the use of the access power and one of the purposes of the Acts. Like all statutory powers, you must exercise the right of access in good faith for the purposes for which it was conferred. You should ensure that the taxpayer or the third party has not already provided the documents to the ATO, eg in support of a request for a private ruling. You should establish, as far as possible, what particular books, documents and papers are needed and whether the information they might contain is necessary for the purposes for which you are seeking access. Is it likely that the information will be located at the premises you propose to access or from the person you propose to give a notice to? Can you obtain relevant information from another source? Before using access powers, be reasonably sure that you are approaching the right person. If the information is available from more than one source, you should consider the cost to each party and who might be the appropriate party to bear the cost. In the majority of cases, tax officers should try and obtain the information and documents from the taxpayer prior to contacting third parties, such as advisers and banks. The cost to the ATO, and whether the exercise if cost-effective, should also be considered. Are you authorised to seek access? You must be properly authorised to exercise access powers. Can you obtain access to the relevant information on an informal/cooperative basis? If you think you can obtain the information by making telephone contact, sending an informal letter or searching other sources, the access powers should not be used. However, it is not necessary for all other avenues of enquiry to have been exhausted or to have used the notice powers before resorting to the access powers. You should be able to conclude that the occasion is one that reasonably requires you to enter premises and inspect documents. Is it necessary to exercise formal access powers? In circumstances in which privacy or confidentiality require that the formal access powers are used, consultation beforehand should encourage cooperation. Consultative procedures may include: giving the custodian reasonable notice of your intention to obtain access; liaising with the custodian about a convenient time to seek access, taking into account the workflow demands on the custodian; giving adequate information to ensure that custodians are fully aware of their rights and obligations in relation to access requests and so on. Minister Gordhan, in his foreword to the SARS Strategic Plan (at p6), anticipates that over the next four years “… the demands on revenue collection growth will be between 10% and 11% per annum”. For example, SARS would need to collect R1.09 trillion in revenue by 2015/16. To achieve those kinds of revenue targets probably means increasing levels of information-gathering. Seeking to reduce the cost of compliance requires that locally ‘cost-consciousness’ must become part of the information-gathering equation – and that a way is found to limit, and hopefully reduce, the costs associated with information-gathering under the TAA. Source: Written by Johan van der Walt, Director, Tax, Cliffe Dekker Hofmeyr – sourced from www.polity.org. In examining CBP’s Container Security Initiative program, GAO found that the agency developed a model for ranking additional seaports according to risk in 2009, but never implemented it because of budget cuts, according to the report. GAO applied that risk model to 2012 cargo shipment data and found that the CSI program had no presence at about half the ports CSP found high risk. Meanwhile, 20 percent of existing CSI program ports were at lower-risk locations, according to the findings (.pdf). Although GAO acknowledged host countries are not always willing to accommodate a CSI presence, and that removal of a CSI presence can negatively affect diplomatic relations, auditors said periodic assessments of cargo shipped from foreign ports could help CBP better guard against terror-related shipments. Although there have been no known incidents of cargo containers being used to transport WMD, the maritime supply chain remains vulnerable to attacks. We recognize that it may not be possible to include all of the higher-risk ports in CSI because CSI requires the cooperation of sovereign foreign governments. 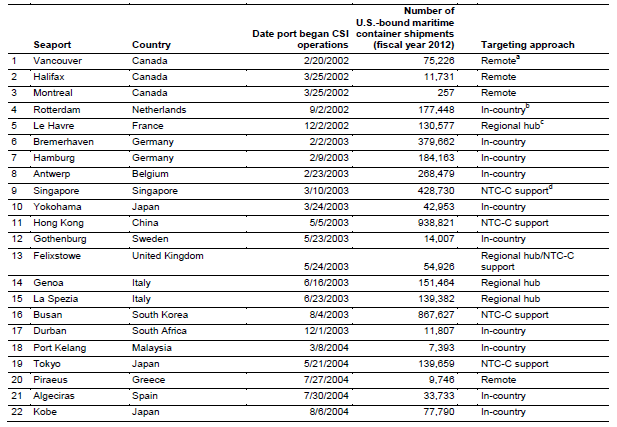 To better ensure the effectiveness of the CSI program, GAO recommends that the Secretary of Homeland Security direct the Commissioner of U.S. Customs and Border Protection to periodically assess the supply chain security risks from all foreign ports that ship cargo to the United States and use the results of these risk assessments to (1) inform any future expansion of CSI to additional locations and (2) determine whether changes need to be made to existing CSI ports and make adjustments as appropriate and feasible. Such assessments “would help ensure that CBP is allocating its resources to provide the greatest possible coverage of high-risk cargo to best mitigate the risk of importing weapons of mass destruction or other terrorist contraband into the United States through the maritime supply chain,” GAO said. The following article and its ensuing piece of legislation would seem to suggest that current Customs’ automated risk management is not doing its job, or at least is not as successful as authorities would often have one believe. Will this legislation signal a return to good old-fashioned ‘manual’ customs investigative work based on human intelligence? What the Congressman appears to overlook is that it is the US importers who are liable for correct clearance of foreign supplied goods. If CTPAT (and any other AEO scheme for that matter) have any worth, then surely the USCBP would look at de-accrediting US importers who fall foul of its import compliance levels? For many, the question remains – how successful (or even relevant) are the post 9/11 Customs Security measures? Besides creating significant expense budgets for Customs administrations, lucrative business opportunities for scientists, technology vendors, standards bodies, and of course consulting opportunities for the hundreds of audit firms and donor agencies – are the benefits, cost-savings and efficiencies in our current era of “Security” that visible? For many traders, all of this has been accepted as little more than the cost of doing and remaining in business. Period! Congressman Dan Lipinski introduced legislation that will help American manufacturers grow their businesses and add jobs by cracking down on foreign companies that illegally avoid paying millions of dollars in customs duties. The Customs Training Enhancement Act (click on hyperlink to view the Bill) will facilitate the sharing of information between the private sector and U.S. Customs and Border Protection, enabling the government to do a better job of identifying schemes that cheat American taxpayers by importing foreign goods without paying duties. The bill, which was folded into Democratic and Republican versions of more comprehensive Customs legislation in the previous Congress, further advances the goal of levelling the playing field so American businesses have a fairer shot against their foreign competitors. Since 2001, importers and exporters of goods into the United States have avoided paying $600 million in duties, according to the U.S. Government Accountability Office, which estimates that 90 percent of all transhipped or mislabelled items originated in China. Foreign companies have avoided duties by misclassifying and undervaluing products or by shipping goods from one country to another on their way to the United States in order to disguise the country of origin. Under Rep. Lipinski’s bill, Customs and Border Protection would be required to seek out companies and trade groups that have information that can identify misrepresented shipments. That information, in turn, would be shared directly from these industry experts to Customs agents working on the front lines. The Customs Training Enhancement Act is modelled on a successful program forged between the steel industry and Customs and Border Protection in which company and industry officials have taught Customs agents how to spot products that have been deliberately mislabelled. The word ‘reform’ is a constant in the daily life of a customs officer. 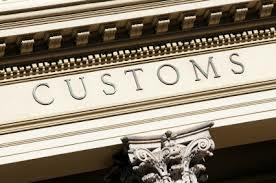 No customs administration among the 177 members of the World Customs Organization has not had a reform program in progress or planned. This is ultimately quite normal.A new World Bank publication “Reform by Numbers” will no doubt appeal to customs and tax reform experts and change agents. It was written in the context of new and innovative policies for customs and tax administration reform. Eight chapters describe how measurement and various quantification techniques may be used to fight against corruption, improve cross-border celerity, boost revenue collection, and optimize the use of public resources. More than presenting ‘best practices’ and due to the association of academics and practitioners, the case studies explore the conditions under which measurement has been introduced and the effects on the administrative structure, and its relations with the political authority and the users. By analyzing the introduction of measurement to counter corruption and improve revenue collection in Cameroon, two chapters describe to which extent the professional culture has changed and what effects have been noted or not on the public accountability of fiscal administrations. Two other chapters present experiments of uses of quantification to develop risk analysis in Cameroon and Senegal. By using mirror analysis on the one hand and data mining on the other hand, these two examples highlight the importance of automated customs clearance systems which collect daily extensive data on users, commodities flows and officials. One chapter develops the idea of measuring smuggling to improve the use of human and material resources in Algeria and nurture the questioning on the adaptation of a legal framework to the social context of populations living near borders. Finally, two examples of measurement policies, in France and in South Korea, enlighten the diversity of measurement, the specificities of developing countries and the convergences between developing and developed countries on common stakes such as trade facilitation and better use of public funds. The “gaming effect” is well known in literature about performance measurement and contracts performance, because there is a risk of reduced performance where targets do not apply, which is detrimental to the overall reform. It is crucial to keep in mind that, by themselves, indicators “provide an incomplete and inaccurate picture” and therefore cannot wholly capture the reality on the ground. Measurement indicators must be carefully chosen to ensure that knowledge is being uncovered. Measurement, for purposes of reform, should not be “copied and pasted” from one country to another. Due consideration must be given to the varying aims of the customs service and the specific political, social, economic, and administrative conditions in the country. Measurement applied to experimentation is also about how donors, experts, and national administrations work together. On the one hand, national administrations in developing countries ask for technical assistance, standards, and expertise that are based on experiences of developing countries and use experts from such countries.These requests encourage the dissemination of such models. On the other hand, reforms of customs or tax administrations are represented as semi-failures in terms of the initial expected outcomes set by donors and politicians – usually the end of a reform is the time when donors and local administrations become aware of the gaps of their own representations of success. While scientific and academic in approach, lets hope it means more than just miserable experimentation in target countries. The book is available for free reading online – www.scribd.com or you can purchase from amazon.com. The Comptroller General, Nigerian Customs Service (NCS), Alhaji Inde Dikko Abdullahi, said that ports users would henceforth complete their business transactions within 24 hours. Speaking at the formal unveiling of the gantry scanner procured by Societe Generele Surveillance (SGS) Nigeria at Onne, Eleme Local Government Area, Rivers State, he said the new scanning facilities would boost the 48-hour target for clearance of goods at the ports, noting that it would complement government’s efforts toward reducing the cost of doing business at the ports. Special training for a select team of 80 NCS officers has been concluded. The team is expected to take over services and operations in the Destination Inspection scheme as from January 1, 2013. The training covered all aspects of the DI activities being handled by SGS for NCS with emphasis on actual risk analysis and processing of the importer’s final document resulting in classification and valuation opinion. Managing Director of SGS Scanning Nigeria Limited, Mr. Nigel Balchin, in his address at the occasion, said the mobile cargo scanners were capable of scanning about 34 trucks per hour as against 16 per hour by the fixed cargo scanners. Each had double tunnel that enabled it scan two trucks at the same time with equal image quality as the fixed scanner. “At SGS we are committed to quality service delivery. We are very glad to be part of this success story and we look forward to Nigeria Customs Service taking charge of the DI programme. The knowledge you have acquired is for the benefit of Nigeria Customs Service and ultimately that of the Nigerian economy. We wish you the best in your future endeavours”, he said. The image quality of the relocatable gantry scanners is on par with a fixed scanner. Trucks remain stationary during scanning (the scanner moves on rails) unlike a fixed scanner where the truck is pulled through the scanner on a conveyor that’s more vulnerable to maintenance issues. The scanner is mounted above ground unlike a fixed scanner where one of the detectors is four metres underground. 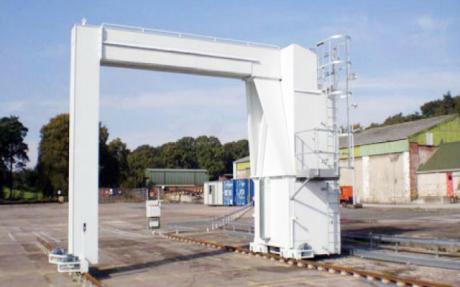 In addition, a relocatable gantry scanner can be re-deployed to an alternative site, in a relatively short time, in case of any expansion or new development.